The final portion of this gift guide: the quaffable liquids that you and the people you’re gifting should have and the interesting cookbooks that are great reads. 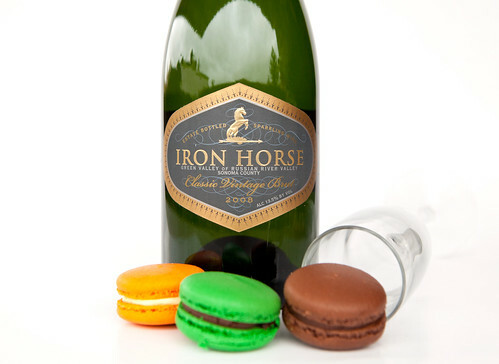 Iron Horse Vineyards is still one of my favorite Californian wineries for both sparkling wine and still. (Even the White House has served their cuvées for the past two decades.) If you’ll ever visit the vineyard’s drop-dead gorgeous estate, I highly recommend it (you may read about my visit here). The ground’s state of happiness reflect the exceptional wines they create. 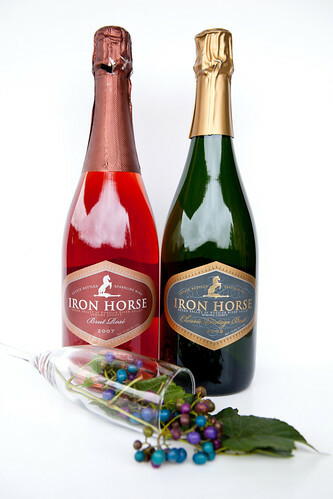 Iron Horse Classic Vintage Brut 2008 is the most traditional of the Iron Horse Sparkling wines. It’s a classic 72% Pinot Noir and 28% Chardonnay, aged an average of four years on the yeast in the bottle. Wonderfully rich and creamy that has the characteristics of Champagne though the fruit is unmistakably Green Valley of Russian River Valley. It’s great for any savory food from delicate sushi to spicy foods. Iron Horse Brut Rosé 2007 is composed of 63% Pinot Noir and 37% Chardonnay, this sparkling rosé boasts bright colors and bold flavors. In the mouth, it reveals strawberry, raspberry and black cherry and a soft, dry mouthfeel. It’s fantastic with seafood like salmon, shrimp, and lobster. 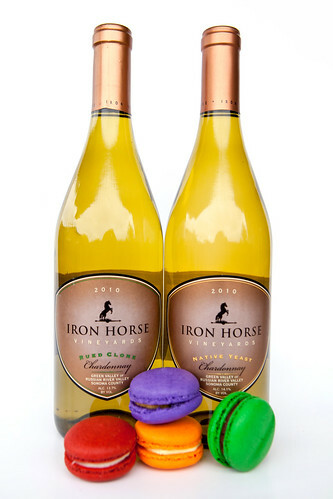 Iron Horse Rued Clone Chardonnay 2010 is a beautiful Chardonnay. It’s dry, sleek and refined. Beyond the subtle tropical fruit, citrus and green apple flavors is a steel-like minerality and lemon acidity that get the mouth watering. Iron Horse Native Yeast 2010 has honey and beeswax flavors carry an undercurrent of spice, bringing pear and nutmeg to mind. It’s complex and smooth, all of its edges rounded. Henriot Champagne is a Champagne producer based in the Reims region of Champagne, France. The house, founded in 1808, produces both vintage and non-vintage cuvée. 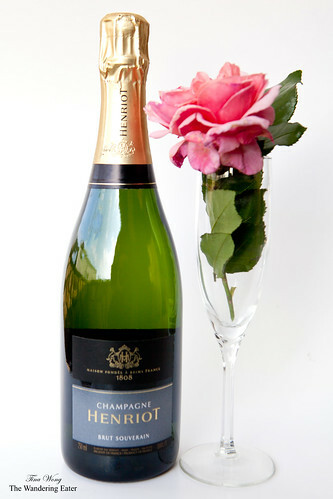 Their Brut Souverain is beautiful Champagne with lots of finesse that showcases the craftsmanship of this wine. It has some body, flavors of green apples, with hints of fresh apricots. Brut yet rich and it could be be aged in the bottle a little more. 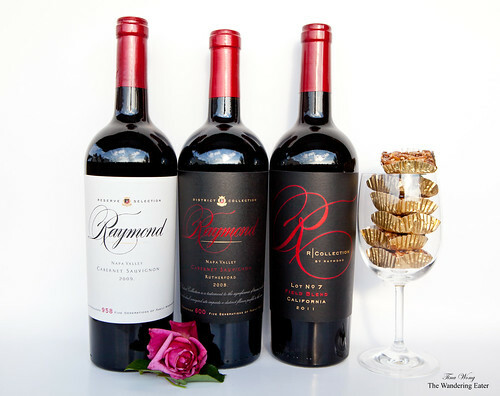 Raymond Vineyards is a wine brand that creates very good reds in Napa Valley. I have visited their grounds this summer and learned that while it’s a pretty cool place to experience, it’s still focuses on having well-made, generally big California reds. 2010 R Collection Field Blend is a balanced, medium-to-full bodied wine with firm, juicy tannins. Flavors of roasted plum on the nose with a slight woody edge and light candied red fruit. 2009 Napa Reserve Selection Cabernet has concentrated aromas of boysenberry, molasses and blueberry, followed by hints of cedar and anise. This is a full-bodied Cabernet that boasts lots of volume and is rich and velvety with notes of dark fruit and black tea. It has rich, sweet oak, Bing cherry, a pleasant minerality and great length to the finish. 2008 Rutherford Cabernet Sauvignon wonderful aromas of dark chocolate, plum, raspberries and molasses. On the palate, this classic Rutherford Cabernet is big and chewy with structured tannins and flavors of woody, mulling spices. Tasting Room (photo of one their samplers) is an online wine store that tries to take out the risk of someone investing a normal sized bottle of wine by offering to sell glass-sized bottles of wine that he/she is interested in trying. I’ve tried the sampler sets that does make me explore wines I never thought of drinking before like the Laetitia “Reserve du Domaine” Arroyo Grande Valley Pinot Noir 2010 that has a controlled tannic red with lush dark berries that works very well with aged steak. 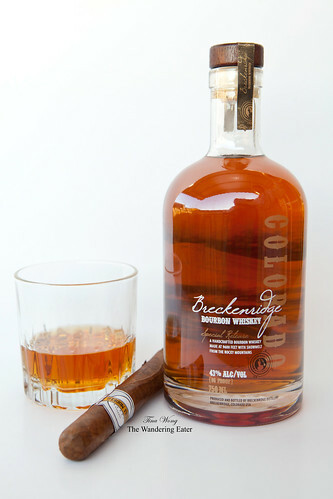 Breckenridge Distillery Bourbon Whiskey is made from a high-rye mash bill mixed with Rocky Mountain snowmelt into a traditional open-top Scottish fermenter and then distilled using a Vendome copper pot still. It’s then aged in new American Oak barrels for 2-3 years, instead of the usual decade plus of aging. Aromas of butterscotch, raisins, and brown Sugar from the glass; at the first sip there were flavors of caramel, oak and vanilla and each sip is a slow, pleasant burn. It’s an excellent bourbon. 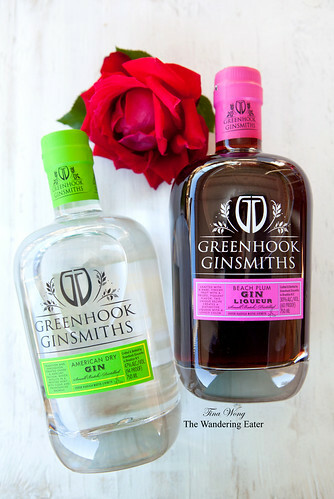 Greenhook Ginsmiths located in Greenpoint, Brooklyn. Led by ginsmith Steven DeAngelo, the distillery utilizes a vacuum method that lowers the atmospheric pressure and temperature in the still, which produces a more flavorful, aromatic spirit. Aside from the innovative creation process, the artisan recipe of the flagship American Dry Gin consists of juniper, elderflower, chamomile and cinnamon, making it a unique gin that gives the drinker with more than a London Dry gin’s characteristic juniper-forward flavor profile. It’s light and aromatic, with a flowery nose and flavors ranging from juniper and elderflower to orange peels and ginger. It’s a refreshing mixture of flavors that can spice up your gin and tonic or pair with fortified wines and aromatic bitters to craft a great cocktail. Beach Plum Gin: Their beach plum gin puts a Yankee spin on a traditionally English spirit. Instead of the traditional English sloe berries used in sloe gin (they were impossible to arrive fresh to the U.S.), they use local beach plums to create this liqueur (inspired by the damson gin). This vibrant red liquid is less viscous and earthy than sloe gin and slightly more fruit-forward than damson gin. It’s great with cocktails, especially with sparkling wine, gin and citrus. Spencer Field Spirit is a family-run distillery located near the Firth of Forth in Scotland. It was founded by the former marketing manager of Glenmorangie, who now runs Spencerfield from a 16th-century farmhouse with his wife. They distill Sheep Dip Malt Whisky, Pig’s Nose Scotch Whisky, and Sheep Dip Old Hebridean 1990. Sheep Dip Scotch Whisky is a blend of 16 different whiskies aged between 8 and 20 in first-fill oak casks. Sheep Dip Blended Malt Scotch Whisky gets its name from sheep dip, a liquid insecticide used to keep pests off sheep. “Sheep dip” soon became a West Country term for whisky, and Spencerfield pays tribute to this rebel spirit with their malt whisky. This blend is a great representation of the many regions of Scotland, with the Highlands and the Speyside most pronounced. Sheep Dip has a sweet and floral aroma, with honey, malt and fresh fruits. Rich and full bodied on the palate, fruity, spicy and nutty, with developing smoke. The finish is long and spicy, with a final hint of Islay. Edinburgh Gin is made from Scottish Juniper, produced and bottled in Edinburgh. Then it’s distilled in a copper pot still with eight traditional botanicals, then infused with Scottish juniper, heather and milk thistle. A balanced premium gin with a crispness and a spicy fruit edge that’s fantastic in cocktails. 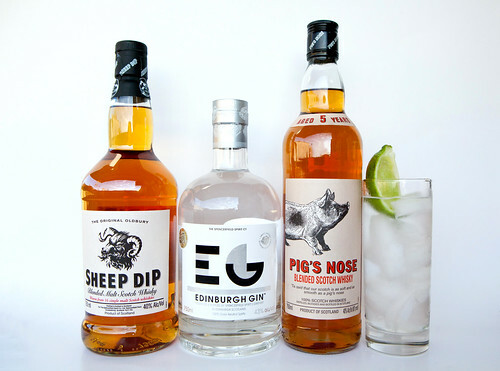 Pig’s Nose Blended Scotch Whisky The Pig’s Nose has a rich and malty on the nose, with sultanas and spices. Seductive and smooth. Big, bold and spicy in the mouth, with Sherry and developing notes of wine. Sweeter when water is added. The finish is steadily drying, with prunes, oak, dry Sherry and a whiff of peat smoke. 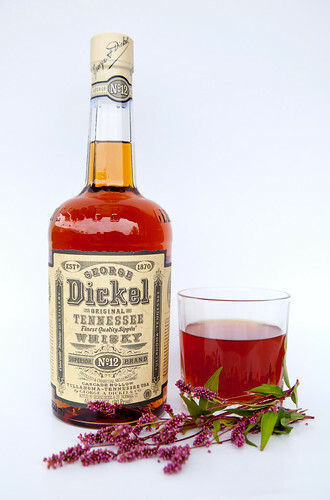 George Dickel Tennessee Whisky is made of distilled from corn, barley and rye. This whisky has enormous deep, assertive flavors and an incredibly smooth finish, No. 12, a classic 90 proof Dickel whisky, combines older whiskies selected by Master Distiller John Lunn to create a richness that maintains Dickel’s signature smooth finish. Concentrated flavors of rich oak and subtle vanilla lead to a long finish with hints of maple, butter and smoke. 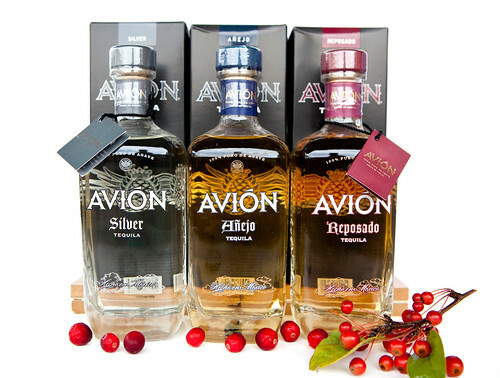 Tequila Avión is produced with only the finest Blue Weber agave found in the very highest regions of Jalisco. The plants found in this region are known to be the most coveted plants for tequila production due to their rich mineral content and distinct quality and character. This high quality agave combined with an extremely rare distillation process and ultra slow filtration, results in an unusually smooth spirit with complex aromas and flavors. The Silver (or also can be known as Blanco) has intense notes of agave complemented by hints of mint, rosemary. Subtle notes of grapefruit and pineapple linger through the finish. It’s a well balanced tequila; crisp, clean and exceptionally smooth and surprisingly sweet. The Reposado is aged about 6 months. The reposado has a unmistakable aromatic hallmarks of a good tequila: sweet brine, savory with rosemary, citrusy with pineapple, Meyer lemon. It has also developed a more fruit like bouquet also with cherry, persimmon, nectarine and hibiscus notes. The Anejo is aged two years, giving it huge vanilla and cinnamon character, with notes of nougat, and chocolate. Tinges of maple syrup toward the finish but it is nothing but smoothness. 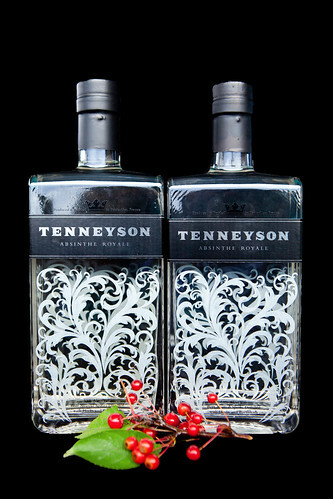 Tenneyson Absinthe Royale is produced and bottled in Pontarlier, France while exported from Austin, Texas. It’s distilled from beet sugar with the addition of classic absinthe ingredients (wormwood, fennel and anise), as well as juniper and bitter orange. This is the absinthe for gin drinkers. The added juniper and bitter orange take this spirit away from the typical licorice flavor that most absinthes have, and instead create a flavor profile similar to many New Western-style gins. Tenneyson is smoother and cleaner than most other absinthes, and at around $50 a bottle, it is one of the least expensive absinthes on the market to date. Bellwether Hard Cider is located in the beautiful Finger Lakes Region of Upstate New York, specializes in the production of hard cider. 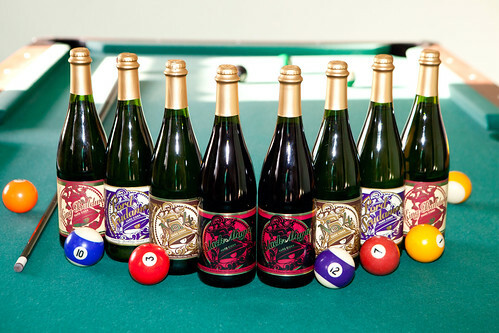 They use a wide variety of Upstate New York apples to produce a range of carefully handcrafted, premium ciders – from extremely dry Champagne-style ciders, to a semi-dry non-sparkling ciders made with traditional English and French cider apples and classic Upstate varieties. All of their ciders works wonderfully with food. Black Magic is a very seasonal, distinctive, semi-sweet hard cider. It combines black currants and cider apples. Relatively low in alcohol at 5.2%, it’s an rich, fruity, crisp and effervescent. It pairs well with grilled meats, game meats, chicken, and desserts. No. 4 is a dry, tart, sparkling hard cider with 6.8% alcohol. It’s composed mostly of Northern Spy with a small amount of Liberty. It works better with lighter-fleshed meat dishes (like chicken, turkey or pork) and spicy foods. Lord Scudamore is a Brut, Champagne-style hard cider with 6.9% alcohol. It’s made from tart, Northern Spy apples. It worked wonders on my Thanksgiving table. King Baldwin is a pretty darn dry, tart and refreshing sparkling hard cider with 6.9% alcohol. It’s made of a blend of two antique apples, the Tompkins King, a very local apple and Baldwin, a variety discovered in Massachusetts. 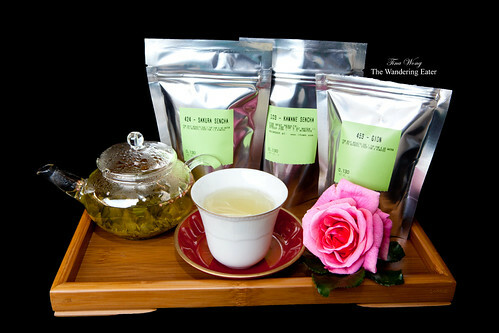 Ito En (North America) was founded in 2001 with the mission of introducing ITO EN’s line of green tea products and establishing a culture and interest in authentic green tea in the United States and beyond. 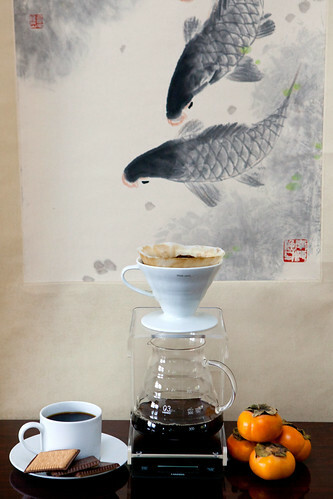 Ito En’s artisanal teas are simply wonderful. I’ve tried their teas from the “New Traditions Tea” line: Gion (green tea blend of scented prime shade-grown kabusecha from the Uji region outside Kyoto with sweet plum), Sakura Sencha (a blend of premium sencha green tea and cherry blossoms), and Kawane Sencha (Kawane is the mountain region of Shizuoka prefecture, Japan’s largest tea-growing region) teas. All were pure, clean, balanced flavors. I liked Gion and Sakura teas for its tastes of spring in a cup. The Kawane sencha has a complex savory plum aroma that tastes bittersweet but delicious. Le Palais de Thés was founded in 1987 by François-Xavier Delmas, whose mission is to help people discover the rich world of tea and introduce them to its many pleasures. 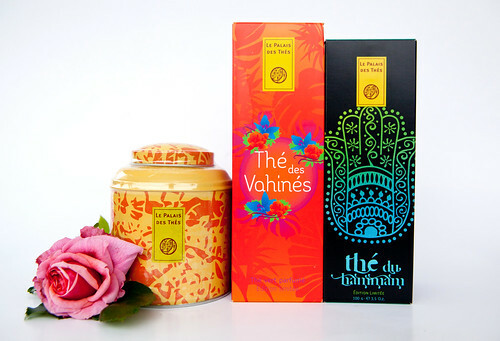 Thé des Vahinés Thé vert is a green tea blend with scents of vanilla and almond with marigold petals and rosebuds. (Be careful not to steep too much tea with this particular blend or it would overwhelm you with floral flavors.) Thé des Lords is a wonderful Earl Grey with a prominent bergamot scent, enhanced with safflower petals. Thé du Hammam is one of the brand’s most popular teas. It’s a fruity blend is inspired by a Turkish recipe using green teas that evokes the characteristic fragrances used to perfume a hammam: roses, green dates, berries and orange flower water. 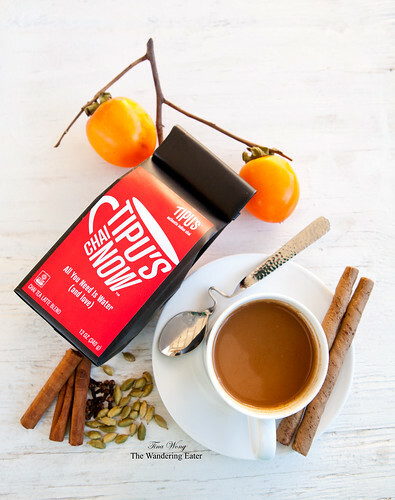 Tipu’s Chai is an independent chai tea brand based out in Montana. They create bold, delicious instant chai teas that are made of organic, non-GMO soy milk powder and sweetened it with organic cane juice. These cups of chai come closest to me drinking chai from a traditional Indian family’s home. 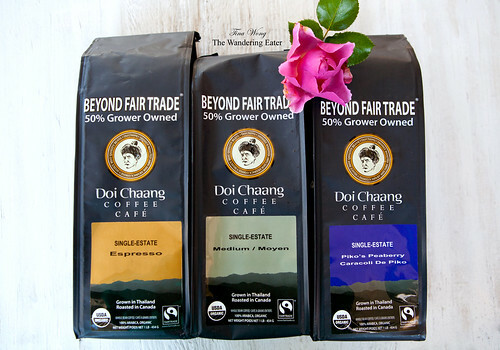 Doi Chaang Coffee is set in a small village located within the Northern Thailand region of the Golden Triangle. It all began when the hill tribe families of the Doi Chang Village united together to create their own coffee company; after 20 years of cultivating and processing coffee, the farmers grew frustrated selling their high quality beans for minimal prices to coffee dealers who would blend them with other inferior coffee beans. Through their own initiative, to directly offer the unique taste of their own premium, single-estate, organic Arabica coffee. Eventually, the tribe approached a small Canadian group of coffee enthusiasts and coordinated this business proposition: half of the ownership of this brand are for the tribal families in Thailand, while the other half is owned by the Canadian branch, making this more than the basic Fair Trade that coffee enterprises offer. Single estate espresso has the complexity and profile to stand on its own. It is a sweet-toned, silky, rich espresso. The finish is clean, fruity and well-balanced. Single estate Moyen (Medium) is the easy to appease almost anyone kind of coffee. It’s roasted to a full medium to produce a fruity, sweet cup with a pleasant flowery fragrance. Well-balanced with a delicate body and rich undertones, with a clean simple finish. Single Estate Piko’s Peaberry The peaberry bean is much smaller with a higher concentrated flavor and represents 5% of their annual crop. It has an intense fruity floral aroma and a heavy full-bodied profile. Deep-toned with a hint of earthiness, these particular cups of coffee started my mornings just right. Civet is a medium-light roast to maintain the unique, complex flavors that develop while the coffee cherries interact with the civet’s digestive system. These beans have an elegantly smooth cup with aromatic floral undertones. There’s a nutty flavor, while the finish is clean with a hint of tanginess. 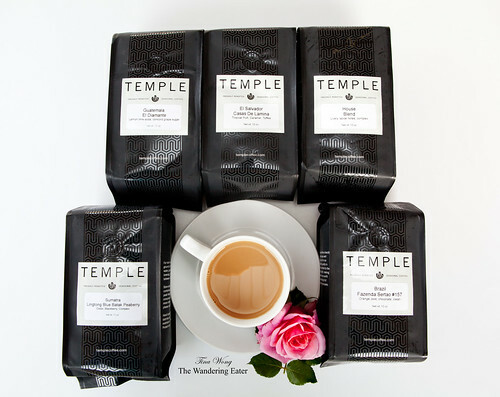 Temple Coffee is a quality-focused retail and wholesale roaster in Sacramento, California since its inception in 2005 and voted as one of the top independent coffee roasters. House Blend is a blend of their top coffees from Latin America and Indonesia. It is a complex blend with some of their favorite coffee regions. Each cup is lively and layered sweetness with a rich, round finish. Brazil Fazenda Sentao #157 is a medium roast that has bright flavors of orange zest and chocolate with a sweet, clean finish. It has a silky, medium-weight body. Sumatra Lingtong Blue Batak Peaberry Deep, earthy, savory. Dark chocolate, clove-like spice, hints of peaty in aroma and cup. It has good acidicity and smooth, medium-weight body with a complex finish. Guatemala El Diamante is a medium-light roast that has distinct almond notes, milk chocolate, date-like fruit in aroma. Rich with complex acidity, with a full, syrupy mouthfeel. El Salvador Casas De Lamina is another medium-light roast that has dark chocolate, cherry, oak, with a hint of brandy in aroma. A very bright, complexly acidity with a lightly creamy mouthfeel. 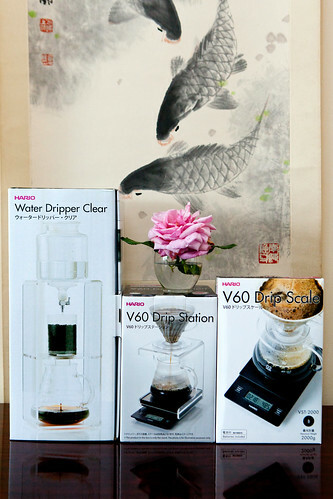 Hario In Japanese, Hario means “The King of Glass”. Since its founding in 1921, this Japanese company has been manufacturing glassware of the highest quality for general consumers and for commercial uses within the coffee and tea industry. Hario’s Water Dripper is similar to what you see at Blue Bottle’s slow drip coffee brewers at their Berry Street location in Williamsburg, Brooklyn (photo). Beyond it’s minimalist looks and look like it belongs to a science lab, it does brew a very nice cup of cold brew that tends to make the resulting cup sweeter. The most important aspect of this device is the control of the rate of drops per minute or second onto your coffee grounds. 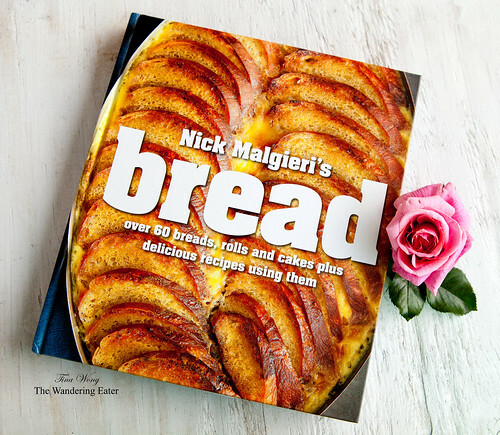 Nick Malgieri’s Bread by Nick Malgieri is one of those bread baking tomes that any home bread baker should have. It’s expansive on the differences on ingredients and the kinds of tools one should use to bake bread and the various recipes range from a one-step to something more complicated like the sourdough and even desserts with bread. The photographs associated with the recipes are drool inducing that would prompt an average baker to make attempts to recreate it. 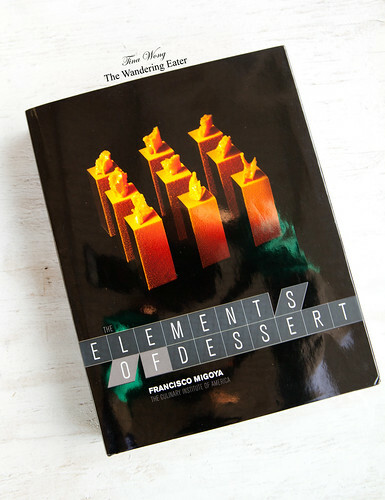 The Elements of Dessert by Francisco Migoya is gorgeous and comprehensive dessert cookbook. Chef Migoya begins with the essential elements of contemporary desserts—like mousses, doughs, and ganaches—showing pastry chefs and students how to master those building blocks before molding and incorporating them into creative finished desserts. 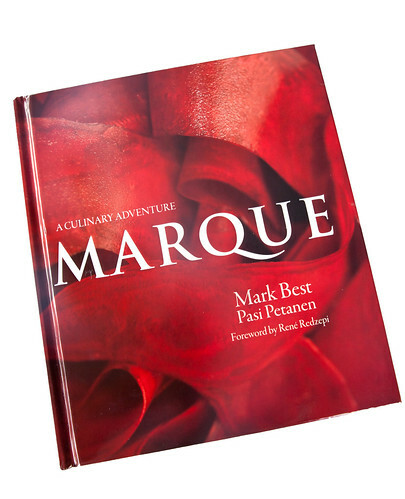 He then explores in detail pre-desserts, plated desserts, dessert buffets, passed desserts, cakes, and petits fours. All the plated desserts are jaw-dropping gorgeous that would inspire a dessert obsessed (like myself) to want to make some, if not all, of these desserts and share it with friends. 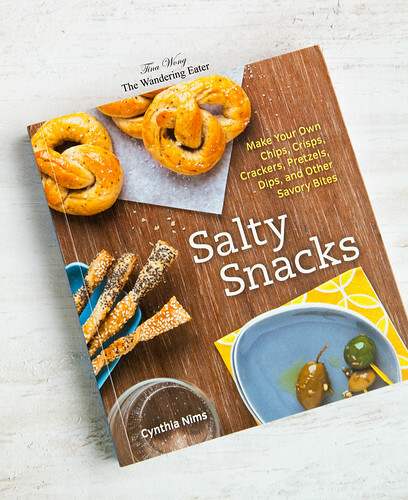 Salty Snacks by Cynthia C. Nims is a fun cookbook to expand a person’s repertoire of savory snacks that you can make at home. It ranges from small snacks of duck fat chips to heartier bites of salt cod and potato puffs, and it does include some vegetarian-friendly snacks and spreads. Ms. Nims runs the food blog, Mon Appétit. 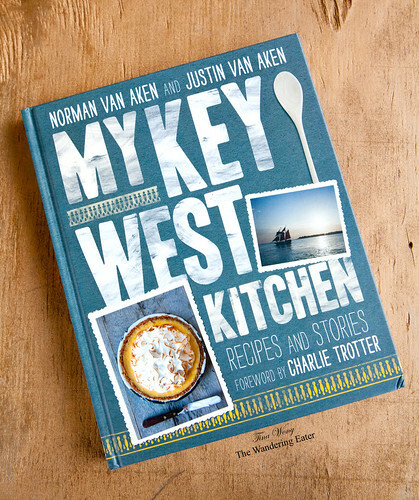 My Key West Kitchen: Recipes and Stories by Norman Van Aken is chef Van Aken’s love letter to Key West. He passionately describes the colorful local joints and the unique cultural makeup of the island and how it influenced his cuisine today. The recipes are great and it does reflect the vibrant, interesting foods the island has. 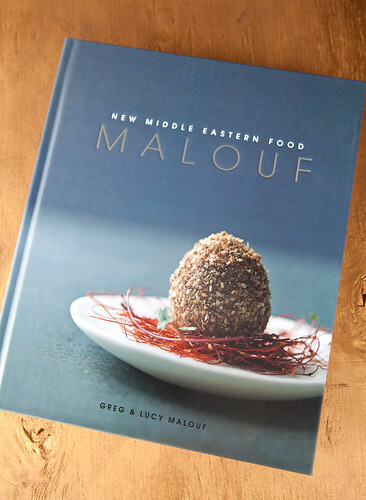 For the global cooks in your life (or at least a fan of these international cuisine and restaurant for the latter), Malouf: New Middle Eastern Food by by Greg Malouf and Lucy Malouf and Marque: A Culinary Adventure by Mark Best and Pasi Petanen would tantalize your senses by the lush photographs and inspirational and innovative recipes. Even though I had acquired this book for nearly a year ago (and met the lovely chef in person while she visited NYC), Janice Wong of 2am:dessertbar in Singapore has gorgeous desserts and been hearing from friends who have visited her dessert bar, were enamored with her envelope-pushing pastries and desserts. 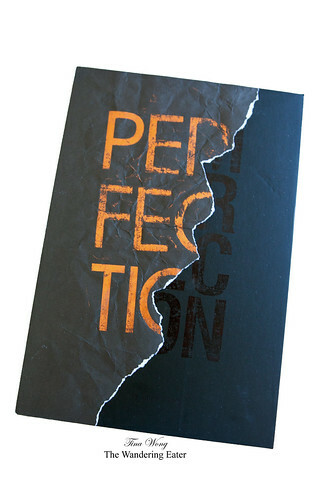 Perfection in Imperfection is beautiful but not in the standard aesthetic sense. The recipes are accessible for the experienced baker/cook and very succinct in how it’s written. Just be armed with a few whippers and nitrogen chargers amongst a few other gadgets – and yes, it could be your coffee table and art book. It’s now available locally at Kitchen Arts & Letters.